mr. rogers | Radio vs. the Martians! In what is an ultra-MEGA-sized two-and-a-half hour episode, exclusive to our Patreon supporters, we really run the gamut. First, we talk about popular culture we loved as kids, but are afraid to revisit, because we fear it won’t survive adult scrutiny. In Mike’s case that means a series of epic fantasy novels that he suspects both really hold up in some way, and really really really don’t in other. We then talk about the evolving nature of stand-up comedy and the divergent attitudes of comics like Jerry Seinfeld, and Hannah Gadsby — and how many older comedians seem to desire to be “above” politics or social commentary. Is that even possible or desirable? Do genre stories like science fiction and superheroes have a responsibility to touch on questions of social and cultural importance? Why do the calls for political neutrality usually seem to mask a right-wing agenda? We get into bad movie theater experiences that stretches Mike’s aversion to confrontation to the breaking point, and dive into the thorny issues of intellectual property and online piracy. 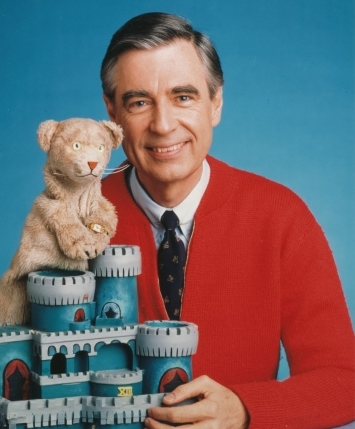 And finally, things get a bit emotional when we talk about how profoundly powerful and deeply intimate the new documentary about Mister Rogers is. To hear this episode — and many more! — just support us on Patreon with at least one measly dollar a month!